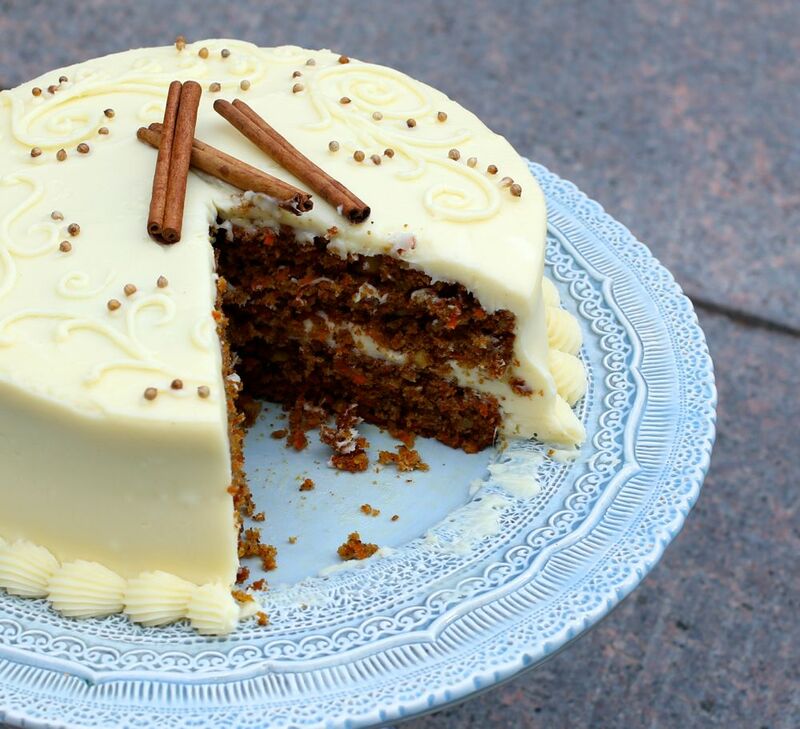 In the late 1700s, carrot cake appeared as a spiced pudding, but at some point carrots must have fallen out of vogue because recipes for carrot cake weren’t published very much until the 1930s. 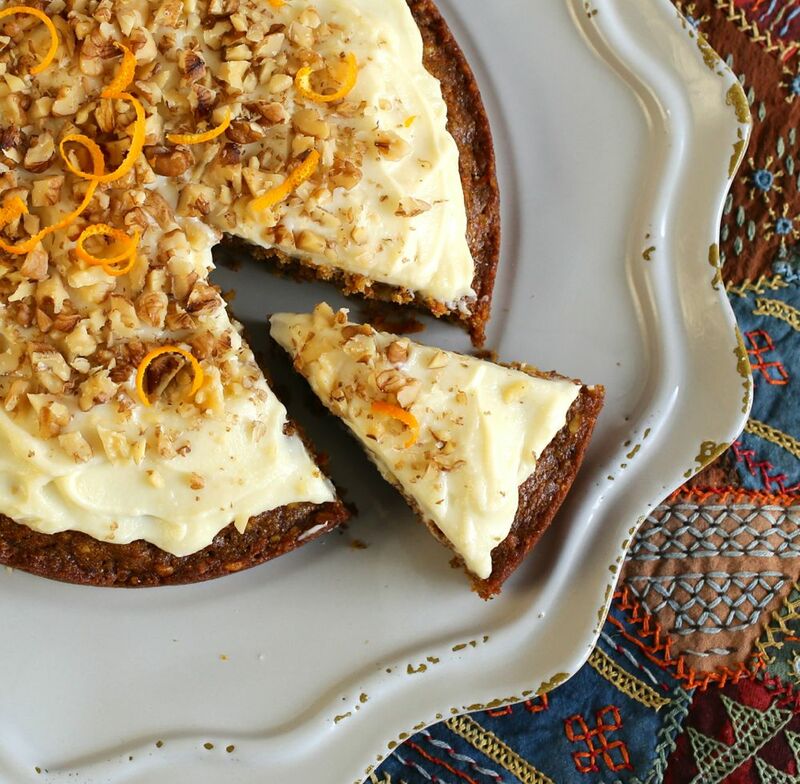 It wasn’t until the 1970s that carrot cake gained popularity and became mainstream in the U.S.
Every year I make a carrot cake for my husband’s birthday. it’s his favorite. As change can sometimes be a good thing, I try to make subtle changes to the classic cake. 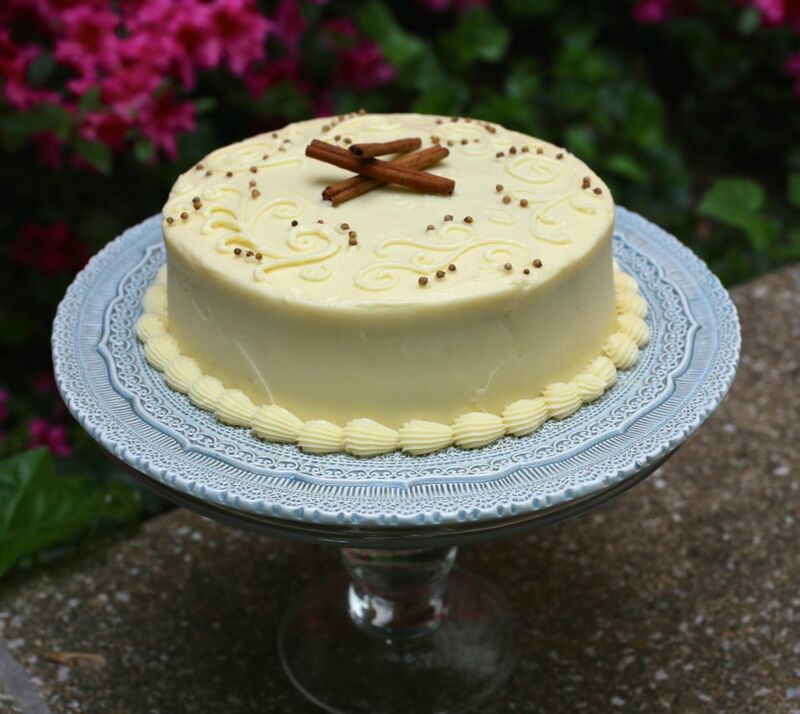 Last year, inspired by a recent trip to Hawaii, I made him a Tropical Carrot Cake with Lime Mascarpone and Cream Cheese Frosting. This year, my big twist was to add Kashmiri garam masala, a potent combination of aromatic spices including cinnamon, cardamom, coriander, peppercorns and cloves. The name garam masala translates to mean “hot mixture”. This refers to the intensity of the warming spices as there aren’t any chilies in the mix. The classic blend of garam masala has many regional variations. 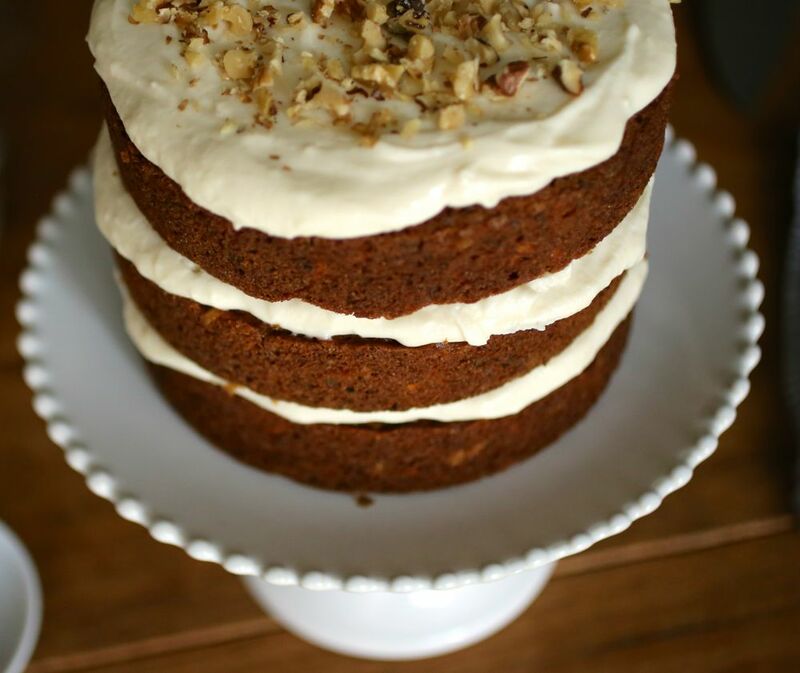 This Kashmiri blend, darkly roasted and intense, is an amazing addition to this moist cake. I bought my Kashmiri garam masala from World Spice Merchants. They have a fantastic book called World Spice at Home. Its filled with inspirational recipes for creating and experimenting with enticing spice blends from around the world. My sort of book! Each time I’ve made this cake, I’ve assembled it differently. Sometimes with three 6-inch layers; two 8-inch layers; or one 8-inch layer. 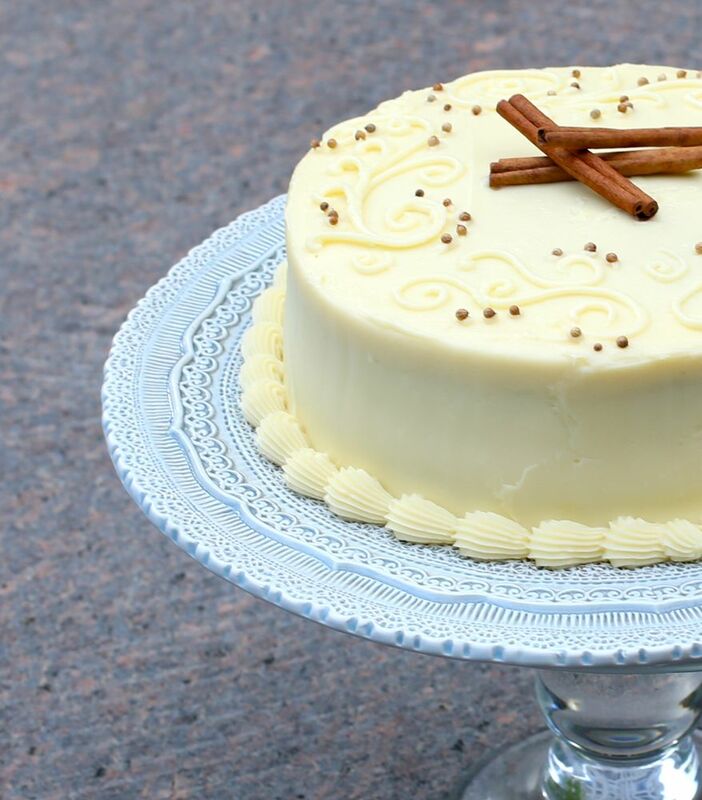 For a more rustic presentation, leave the sides exposed, frosting only the top and between the layers. Or frost the whole thing like the photo of the two layer cake above. For an added twist, I used whole wheat pastry flour, but you could also use only all purpose flour (2 cups total). Pastry flour has a little less protein in it so using it helps to yield lighter and more airy cakes. Preheat the oven to 350 degrees F. Line two 8-inch round cake pans. Grease pan and parchment paper with coconut oil. In a large bowl, sift together the flours, baking powder, baking soda, salt, and garam masala. In a mixer on low speed, combine the sugar and oil, scraping the sides with a rubber spatula. Add eggs, one at a time. Increase the speed to medium and blend for about 2 minutes. Using a spatula, gently fold in the flour mixture. Fold in the carrots, orange zest (if using), and walnuts. Fill the cake pans with equal portions of the batter and bake until the tops spring back when lightly touched, about 25-30 minutes. Be sure not to bake it too long as it will be dry if over baked. Cool in the pans on a wire rack for up to 10 minutes, then remove the cakes from the pans and allow to cool until they reach room temperature. To make the frosting, in a large bowl, beat together butter and cream cheese until smooth. Add sugar and vanilla and continue mixing until frosting is thick and smooth. Adjust the consistency by adding milk if too stiff or more sugar if too runny. For a more decadent icing, add 8 ounces of mascarpone cheese. Adjust sugar accordingly to achieve the consistency and sweetness you prefer. Notes: I’ve made this cake many times since my husband’s birthday and it always gets rave reviews from guests. 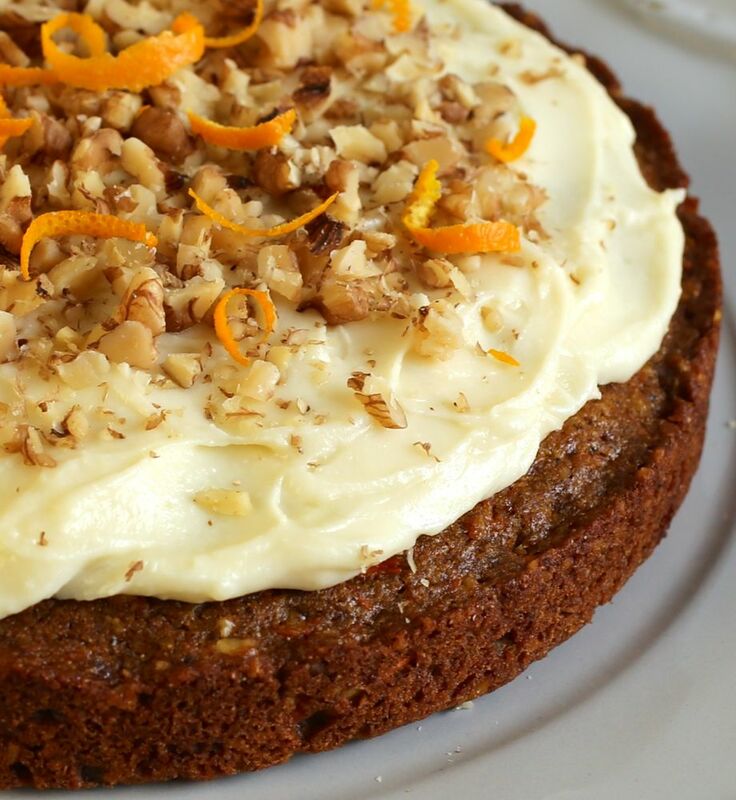 Sometimes I make slight changes, adding orange zest, pecans instead of walnuts, or mascarpone cheese to the frosting. This has to be the most gorgeous cake I have ever seen! You really have a talent with cakes. Lovely ingredients and layered so beautifully. Love how you used coconut sugar and coconut oil. I’m going to keep this for my next carrot cake, which I usually bake at least once a year. Thank you so much Seana. I used to do a lot of cake decorating, but nowadays I find myself going the rustic route more often. I’ll try to decorate more in the future. Glad you like the decor and I hope you like this cake! Wow, Martine! 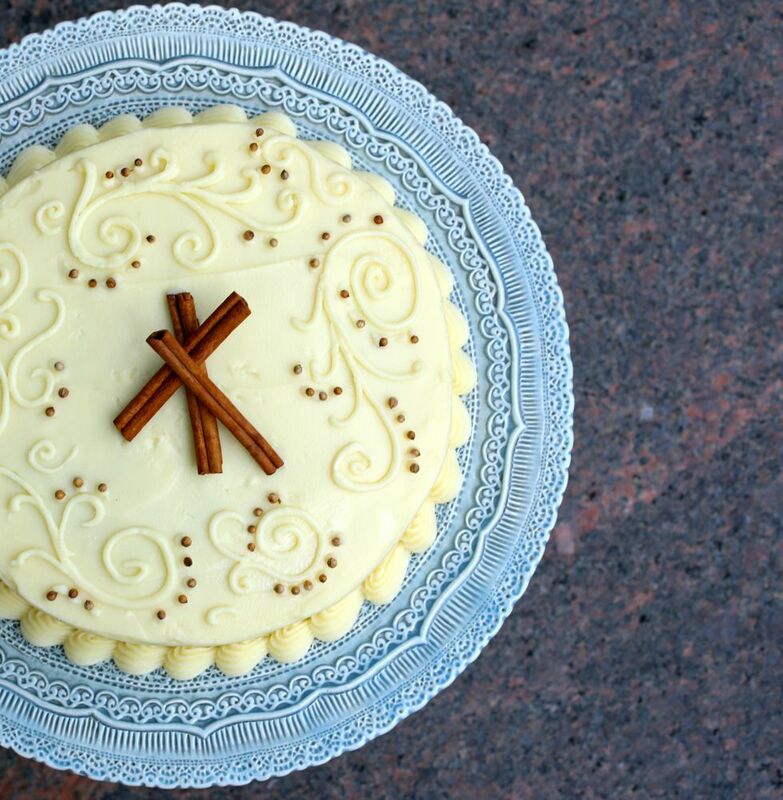 A gorgeously decorated carrot cake. I am intrigued by the Kashmiri garam masala addition. I have baked a carrot cake to post, but after seen your cake, I am humbled. Thank you Fae! 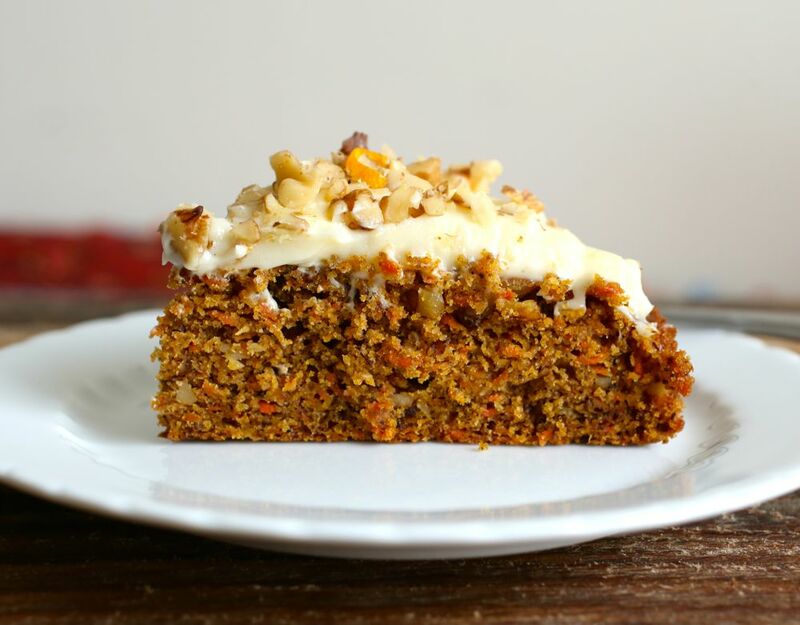 I’d love to see your carrot cake. I’m sure its delicious! Thank you! Glad you find it as interesting as I did!